Fortnite for Android is finally here, and if you are lucky enough to own one of the Samsung Galaxy smartphones or tablets that support the initial beta release, you can download the game and start playing the highly popular battle royale game right now. 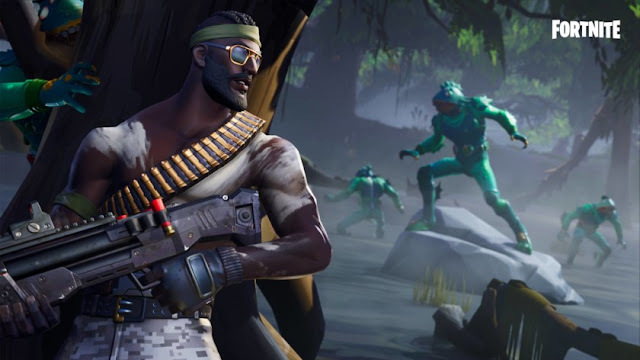 However, Epic Games, as we have reported before, has elected not to release Fortnite for Android via the Google Play Store. So how can you safely download it and install it so you can start playing? We have the answers for you right here. If you own one of those above devices, you should first find the pre-installed Galaxy App Store on your home screen. Tap on it, and you should see a big Fortnite banner right on top of the store. Tap on that banner, and you will then be prompted to download the Fortnite installer. Once you tap on the installer link, it should download quickly onto your Samsung device (the installer itself is just a bit over 4MB), and then the installer should automatically begin the Fortnite for Android download process. You may be prompted to give permission to access your phone’s storage before you can continue. You should also keep in mind that the install of the game will take 1.88GB of storage space on your phone, so you should make sure you have enough free space on your phone’s onboard storage, or via your microSD card. If your phone is on this list, you can go to the Epic Games website at the link below to register for the Fortnite for Android beta. Epic will be sending emails inviting Android devices owners to download and install the game in waves, so you might have to wait a little while for your invite to come in. Once again, the devices in the list above do not support the Fortnite for Android beta yet, but Epic says it is working to add those phones in the future. It’s also possible that the company will add even more Fortnite supported phones in the future.